Master in Public Administration/International Development (MPA/ID): The two-year MPA/ID system, Harvard Kennedy School's most recent program, is designed to prepare the next generation of frontrunners in worldwide development. It is an economics-centered, multi-disciplinary system, incorporating rigorous training in analytical and quantitative methods with an emphasis on plan and rehearse. Joint and Concurrent: HKS pupils have the choice to earn another professional graduate degree—an MBA, MD, or JD, for example—in a faster timeframe through reduced coursework and residency demands. Usually, pupils finish their degrees in one year under if they received them consecutively. They could go after combined degrees at 22 expert schools either at Harvard or at institutions that have been authorized by HKS faculty members. Doctoral tools: find out about the PhD in Public Policy and/or PhD in Political Economy and Government programs. 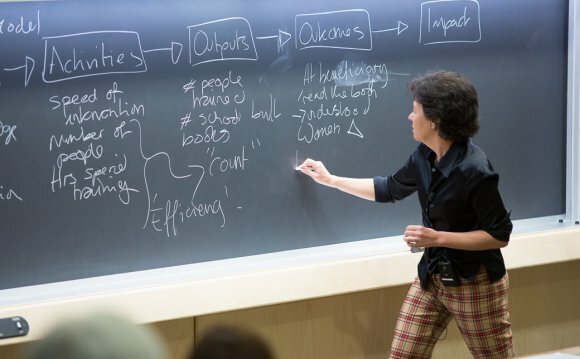 Executive Education: Harvard Kennedy class provides a wide range of Executive Education programs, targeting those subjects that help better prepare leaders in public areas matters. Learn more about HKS Executive knowledge while the application process for those non-degree programs. Elizabeth Filippouli is a media and business consultant, and former television journalist born in Athens(Greece). She is Founder & Director of Global Thinkers. Liam Goldrick is the director of policy for The New Teacher Center, a position he has held since June 2006.